10th Birthday Celebration – Day TEN! Grand prize! 1. Select five sheets of colorful patterned paper. I used a 6×6 paper pad, which made it as easy as simply tearing the sheets I wanted out. Day TEN – Grand Prize GIVEAWAY!!! We've had 9 exciting days of inspiration and prizes but we are not quite finished yet! We are thrilled to share with you our grand prize giveaway to wrap up this amazing 10th birthday celebration! You know they always say go out with a bang, so here it is friends! One of our newest partners Stamp-n-Storage is very excited to offer one lucky Scrapbook & Cards Today reader the ultimate papercrafter's dream…organization! We have one more thing to wrap up today…our "cupcake challenge!" Here is Day TEN! Thanks for all the amazing giveaways! Happy 10th birthday!!!!! The grand prize is certainly GRAND!!! Once again, happy 10th birthday! What an amazing prize! Happy birthday again to my favourite magazine! What a fantastic way to wrap up the party! Hope you had a great time! Once again, Happy 10th Scrapbook and Cards Today magazine and thank you for celebrating with us. What a fabulous birthday banner – so clever to make presents! Wonderfully appropriate to celebrate your 10th birthday. What an amazing grand prize! So many wonderful sponsors and giveaways. first, what a fabulous fun and colorful banner! WOW!! What an awesome 10th birthday party!! It has been so much fun visiting each day’s blog!! Thank You!! GRAND is right……love their storage products……good luck to me and thanks for a great 10th party….Happy Birthday! Fabulous birthday banners with beautiful colors and papers! You sure did want to go out with a bang on your 10th day of celebrating! Amazing prize! I sure could use all the help I can get in the way of getting organized… this would be a fantastic prize to win!!! Oh my goodness…what a prize!! I was just looking at Stamp n Storage yesterday…dreaming while I was quiet at work…so amazing! Thanks for the chance, and have fun with the celebration – it’s been fun! yikes! wowser! that would be a dream to have things organized! Wow who couldn’t use storage for our supplies. What an awesome prize . Thank you for the games this last 10 days and for all the great project ideas you all shared with us. Thanks to all the sponsors. Those little happy tags are about the cutest things evah! And OMG that grand prize is amazeballs! How lucky would a crafter be to win such an amazing prize! I think anyone could use it!! Happy Birthday!! I love the striped paper and banner so fabulous. Thanks for all the sponsor . Wow!!!! This is huge!!! Am such a fan of yours and am a follower on IG, FB, PInterest, YouTube, and Twitter! Also subscriber to your emails and online magazine. Love your inspiration and wishing you many more birthday celebrations! Holy schnizzle! What an amazing grand finale this is!!! I would absolutely LOVE to win this prize package! My Craft Room would be so organized that I would willingly share pictures of it!!! Thanks for all the fun and inspiration and I follow you everywhere on Social media and love your magazine!!! Thanks!! Amazing banner and amazing prize. Thanks scrapbook and card for this chance and thanks for all the sponsor. I’m speechless…and I want it all! The calibre of the prizes and the sponsors tells a lot about the quality of SCT! Wow, what an amazing last celebration day!! This giveaway is outstanding!!! Thanks so much to all of the giveaway sponsors for a tremendous event!! That room is WOW!!! Thanks for the chance at such an amazing giveway! SCT’s the best! Happy Birthday…thanks for the chance to win. Love your banner and love your prizes. Thanks for this chanc. Thanks for all the sponsor. Awesome prizes each day! Thank you for the chance to win!! Happy Birthday! WOW! Fabulous organization products would be a dream come true! Thanks to all of your wonderful sponsors and your fantastic team! Here’s to the next 10 years! Thank you Stamp-n-Storage for a wonderful birthday prize!! Organization is my middle name and your products look wonderful. Can’t wait to browse some more – you can never be too organized!! What a cute banner…excited to try!! What an awesome dream prize too. Happy 10 years! What a brilliant idea to use the X to make a Y! And you’re right, I always run out of y’s before x’s. Great tip. Thanks for the fun birthday hunt. You gave my eyes a workout for sure! You found some fabulous sponsors for prizes too! Fingers crossed here! That banner is just adorable! Thanks for the all great inspiration, and thanks for the fabulous giveaway! Of course, these organization products would be a great addition to my scrapbooking space. WOW! That is a grand prize that outshines all others!!! Super fun birthday project–love it! Thanks for a chance at the incredible prize today–wowzer, how wonderful it would be to win! Happy, Happy 10th BD! Wow! What an amazing Grand Prize! I love Stamp-n-Storage! Thank you for such a fun 10 days of bday celebrations! Here’s to maNY more to come! OMG, I dream about a craft room like this one. Happy 10th Birthday SCT & a super welcome to Stamp-n-Storage. Wow! What a amazing prize! OMG….I just moved and designing a new scrapbooking room!! This would be a perfect prize to win!! TOTALLY AMAZING!! Welcome Stamp-n-Storage!! Being part of the SCT family will be exciting for your company as well as for all the readers! Happy 10th Birthday SCT!! Catherine – what an amazing 10 days – you have built such great relationships with everyone…readers, sponsors, the entire paper crafting world and as a result we all benefit. Such a big heart. Thank you for everything you do for us. And yes I too would love to go shopping at Stamp-n-Storage! Happy 10! What an adorable Birthday Banner. I’d love to make one of these. What a fantastic prize today. Sent a big thank you to Stamp-n-Storage for sponsoring such a generous prize. Happy 10th birthday SCT. May you celebrate many,mant more. What a great banner and an AMAZING prize! Thanks for sharing your birthday celebration with us! How easy but beautiful is that!!! Happy 10th birthday & thanks for sharing all the goodies with us!! Now this would be amazing! I’m just getting more into stamping and having a difficult time figuring out how to store it all! Thank you for a chance to win! WOWZERS…..AMAZING PRIZES……HAPPY BIRTHDAY!!! THANKS FOR THE CHANCE TO WIN. Just when you think you can’t top your daily prizes, your wonderful sponsor is giving away such a FABULOUS prize. Once again “Happy Birthday” and we hope you have many, many more. This has been an amazing 10 days of great projects and fantastic giveaways. Thanks for sharing your birthday with us. Fabulous banner and what an awesome prize….definitely Grand! Thanks for the chance to win. Thank you so much for the chance to enter to win so many beautiful prizes. And this last one is to drool over. Happy birthday SCT. This has been a fun way to celebrate YOUR BIRTHDAY! Nice that you give gifts instead of receiving gifts! This storage space is amazing! Wow! A scrapbookers dreams come true! This is an AMAZING giveaway! What a great grand prize and an awesome end to an incredibly fun Birthday Celebration!! I love the banner idea for today! How adorable! Happy Happy Happy Birthday SCT! Wishing you many many more! To win that would be a dream come true. I would like to thank you and all the sponsors. You are all amazing!!! What an amazing & generous giveaway! Happy 10th and many more! I LOVE banners, and this one is cute and seems like it could be made rather quickly, a real plus! As for the grand prize, it is definitely over the top! I’ve spent plenty of time drooling over Stamp-n-Storage’s website, wishing I could have their beautiful products instead of my mismatched furniture and storage. This would be a dream come true! Thank you, SCT, for a great birthday celebration, and for a beautiful magazine – here’s to 10 more glorious years! Love the birthday party banner, and have loved the 10 day birthday party here at the blog! I have been dreaming of some of those die storage boxes for awhile now. Would LOVE to get a chance to acquire some! I love the banner of presents and tags–so fun. And WOW what a fabulous grand prize!!! It would be a dream come true to have an organized craft room 🙂 Thanks for the fun birthday celebration days, and happy birthday! Happy Birthday! I love having your magazine in print. Thank you for taking the time to do that. Thanks for the banner tutorial. Your yawning friend looks so much like my Harry. This has been a fun birthday celebration. Welcome Stamp-n-Storage and thank you to all the sponsors. Holy moly! What an amazing giveaway!!! Thanks for the chance & once again, Happy Birthday! OMG! Winning this would be a dream come true!! So many ways to get organized! Thank you for the chance to win! Happy Birthday SCT! I just LOVE that banner! So innovative (and very cute). Happy Birthday! Love your magazine and your kits!! And, thanks so much for the chance to win great prizes! Happy 10th Birthday – What an amazing giveaway. 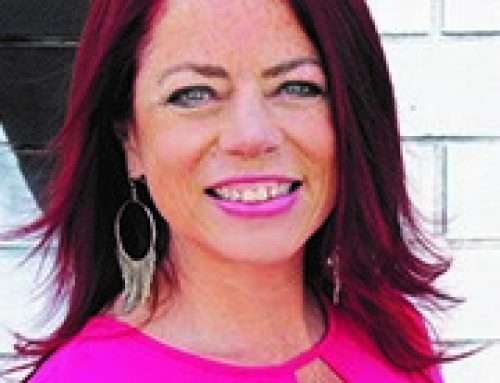 I love your magazine and everything you do for the scrapbooking industry. Thanks for the chance to win. It has been fun playing along with your amazing 10th birthday celebration! You have every dedicated reader drooling over the grand prize. I dream about improving my workspace by organizing my scrapbook / stamping stuff in the neat storages compartments. Thank you for inspiring us all! WOW, WOW, WOW….what a grand prize. With Stamp-n-Storage even I might be able to get my craft room organized! WOW! Today’s prize has me drooling! That could go a long way to digging me out of the piles of “stuff” that always seem to surround me, no matter how hard I try to clean it up! Thx for the chance to win! Happy 10th Birthday, and many more! Deep breath is right!!! What a crazy awesome prize!!! Thank you thank you for SCT and all your generous parnters for all the gorgeous inspiration and amazing products! Here’s to 10 more years!!! Wow–what a fantastic prize and love the banner. That is indeed a GRAND prize. Great project also. Wow! What a fabulous prize! I have admired the Stamp n Storage stuff for the last few years. It looks like an amazing product to have to organize all the craft supplies anyone would own. WOW thank you Stamp-n-Storage how generous! Happy 10th anniversary Scrapbook and Cards Today! Happy 10th SCT! This prize is absolutely phenomenal. Wow! Now that is quite the prize! Thanks for ten fun-filled days of inspiration and fantastic prizes. Happy Birthday! Wow! What a prize. Thanks for all the great prizes these past ten days. And a huge thank you to all the sponsors! Over the top–again!!! This is the most humongous prize I have ever seen!! Boy would I have fun with this prize. Organization and storage are the 2 most important things needed for a perfect craft room. Thanks again for the celebration SCT. It’s been lots of fun. What a brilliant and easy way to create a banner! I’ve gathered so much inspiration from this fun birthday party. Hip-Hip-Hooray to 10 fabulous years and wishing you many many more birthdays to come! Thanks for the chances of winning some awesome prizes!!! That is one fabulous final prize! Happy Birthday! Love Megan’s projects. They’re simple yet so beautiful! And who wouldn’t love a chance at that scrappy organizer prize. Congrats on growing your sponsors. OH my gosh! Thank you SCT and Stamp and storage. I have been drooling over the video of the stamp and stage craft rooms, would love to be so blessed with that gift! Happy 10th Birthday! It’s been a fun and inspiring week! Oops. It’s not letting me edit …it should have said…. OH my gosh! Thank you SCT and Stamp and storage. I have been drooling over the video of the stamp and storage craft rooms, would love to be so blessed with that gift! Wow! What a way to end! This is mind blowing awesome! What a dream this would be! Thank you!!! Wow, you certainly saved the best for last! Thanks for all the prizes & chances to win. OMG!!!! This prize is incredible!!!! The banner is so colorful and cheerful. Thanks for sharing and thank you for the chance to win this fabulous prize! and have the lock down punch shelf. Love it. Had a great time studying each page of the magazine hunting for our sweet delight and lots of inspiration. thanks for a fantastic 10 days, and the past wonderful 10 years. Wow! That is a huge giveaway! Thanks so much for 10 years of inspiration and fun. What a wonderful gift! I am finally getting my own space to craft upstairs and this would be a wonderful addition to my space. Thank you so much! GASP! How cool would that be to win?! This is awesome! And I love the banner you shared. So easy and so cute! Wow!!! All of the prizes have been great, but this one? Phenomenal! Happy, happy 10th birthdayversary! What a cute and simple banner. Love it. 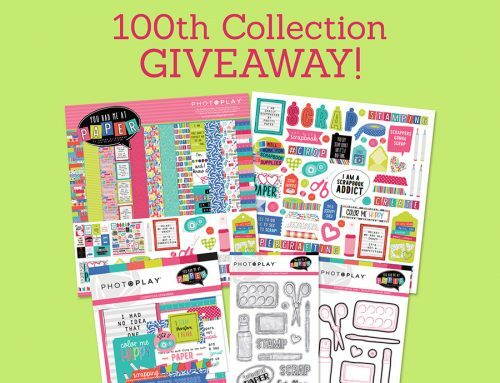 And wow to the grand prize that will make one Scrapbooker very happy! I dream about clicking away on this website! And to think it could be a dream come true! Amazing! SHOCKED! and very happy of today’s giveaway, unbelievable and oh so generous. Someone is going to be very excited indeed. Thanks and Happy Birthday SCT! holy smokes—-what a way to end an amazing 10 days!!! wow! thank you to SCT and the sponsors! Wow! Is all I can say, this week of prizes is amazing and who wouldn’t love the grand prize, it would be a dream to win. Love them all and love SCT. Love the banner! Wow! What an incredible grand prize! Would LOVE, LOVE, LOVE to win that!!!! Wow…what an organized space, it would be a dream come true! I almost fell of my chair when I saw the Grand Prize giveaway. I have some Stamp-n-Storage products and i love these. And of course I could use some more. Megan, brilliance, turning that X into a Y! It’s been a fabulous ride with the design team and all the fun party décor. Ya’ll totally rocked this 10 year event and I’m so thrilled that there are magazines and crafty sites like this available to help make my creative life easier, more productive and yes, challenging, with new techniques and tips to try. Thank you!! And thanks so much to Stamp N Storage. I’m so happy to already be a follower on IG. Thanks to ALL the sponsors! I know this is a lengthy response but I’m not sure you all realize the impact you have on folks like me. Before branching out and getting on multiple design teams, you inspired me and helped me grow. Now, you continue to help me grow in my craft and enable me to try new things which ultimately help me get uber creative with some of the companies that I represent. I think you need to know that. I know there are many others who feel the same way I do but maybe don’t take the time to express it or know how to express their appreciate. Ok, I’ll shut up now, haha. But thanks for all your team does, from the teamie who types up memos to the the photographer to the design team members who toil away many days and nights on ONE project and sometimes struggle for mojo, to the editors and even the printers who have to get it right. Thank you is not enough! Say What??? You and the SCT crew sure do know how to throw the biggest birthday party ever!! I can see myself now making this pretty banner by Megan on my work table by Stamp n Storage!! Thank you for making all these gorgeous products available to us following along for the past 10 days!!!! Fabulous banner and a great way to use some of our washi tapes! Thank you so much for an awesome 10 day celebration of gifts and inspiration. Happy 10th birthday … and many more to come! Unbelievable! I can so picture this beautiful storage components in my craft room. Happy Birthday SCT & thanks for the wonderful daily “loot bags”! Woweee, that’s an amazing prize! Thanks for 10 days of fun, and Happy Birthday! Wow! Stamp-n-Storage! What a neat prize! Happy birthday! Holy smoke what an awesome prize! I’ve loved their storage systems for a long time but don’t have any. Lucky is the one to win this prize! Oh, your banner is so awesome!!! Great banner and thanks for 10 days of fun! This is truly an amazing and so generous prize. I would be absolutely over the moon should I be the lucky one. I have so many ideas running through my head right now on how I could organize my scrappy place. It would be a dream to have everything so organized and at your fingertips. A dream come true. Happy Birthday!!!! Stamp-n-Storage you have ended this birthday celebration with a bang, WOW!!! What an awesome prize this would be. Ever so generous. What a beautiful banner, so colourful and creative. Happy 10th birthday SCT. Oh my goodness…I can’t get over this amazing prize! Oh the possibilities! Happiest of birthdays SCT! What a cute banner. Thanks for all of the inspiration and vendors thanks for the prizes. The grand prize is amazing. Happy 10th Birthday SCT! Thank you Stamp-n-Storage…what a awesome grand prize giveaway to wrap up this amazing 10th birthday celebration for SCT! I just alternated a bedroom to become my new scrap room and its empty….this prize will help me create one awesome scrap room! Wow what a great final prize! Would love to win to help set up my room that someday I will have. Wow!!! 750 dollars worth of scrappy goodness!!!!! Thanks so awesome!!! Thank you to SCT and all of the generous sponsors. Wow, what a way to end your celebration! $750 would go a long way towards organizing the mess I call a ‘craft space’! An awesome prize, thanks for the chance! Love the banner…but that prize is awesome!! Happy, happy birthday SCT! 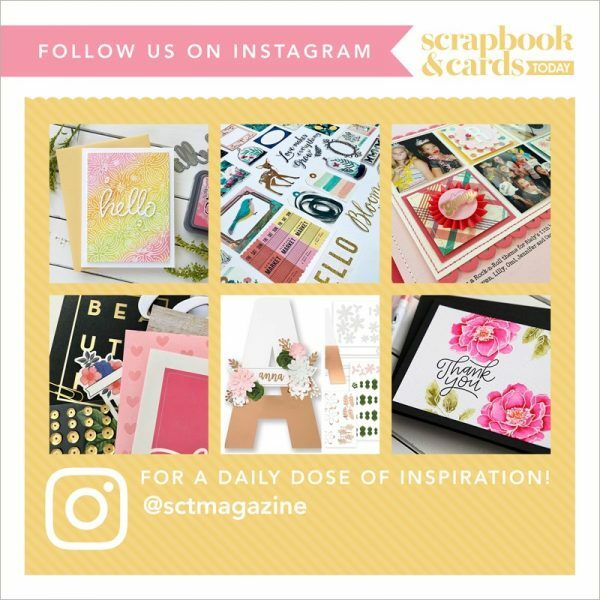 Happy 10th Birthday Scrapbooks & Cards! Here’s to MANY, MANY more!!! Thanks soooo much for your amazing inspirational magazine and for this wonderful giveaway!! Thanks so much for all the fun the last 10 days – Here’s to another 10 – Cheers!!! Happy Birthday – love the prize package today! The happy birthday banner was so cute! Thanks for the chance to win such an awesome prize! You weren’t kidding when you teased how fantastic the grand prize is! I am in awe of Keisha’s craftroom! Definitely every crafter’s dream!!! The amazing Stamp-n-Storage products have me dreaming of being able to create my own beautifully organized craft oasis. Thank you Stamp-n-Storage for the opportunity to win this most generous shopping spree and a huge WELCOME to the SCT team! Looking forward to learning more about your products and seeing all the innovative craft storage solutions you have to offer. SCT, you’ve done it again! You’ve hosted an outstanding and super fun celebration! Congratulations and very best wishes to you and your entire team! Saved the best for last! Love your blog, magazine and staff! Would love to have half of this prize. Thanks to all the sponsors for a fun 10 days! Happy Birthday! I hope there are many more in your future. Thanks so much for the lovely prizes. Gorgeous banner and AWESOME giveaway! Love organization! Thanks for the chance! Happy 10th Birthday and thanx so much for celebrating w your fans! WOWEE!!!! Love the banner idea and the neat ideas like taking washi tape and making bows! Never would have thought of doing that and it looks awesome!! I can’t say enough about how wonderful and inspiring the past 10 days have been! The ideas!! The talent!!! The inspiration!! The awesome companies that donated amazing prizes that we dream of winning!! So generous! Thank you SCT for coming up with this amazing way to celebrate your 10th birthday! So looking forward to the next celebration – I love receiving the magazine and guess it will have to tide me over until the next big hurrah! Thank you!!! Scrapbook and Cards – you rock!!! I love the monochromatic banner and adorable bows. I can’t believe the grand prize – a crafter’s dream! Thank you for a chance to win such an amazing gift! I would so love to win such a wonderful grand prize! First of all, love that banner. Secondly squealing in delight about the grand prize. Who wouldn’t want such beautiful storage. I would love it. Holy Toledo !! What a prize package that would be!!! Thanks for the opportunity to win! I am loving everything you have posted these 10 days. Congrats on your anniversary! Lovely banner and WOW what a GRAND Prize from Stamps-n-Storage! Ten years is a huge accomplishment, congratulations. The grand prize is truly GRAND. Every paper artists dream. SCT sure knows how to celebrate. I love the banner and the use of the washi tape! My jaw just about dropped to the floor when I saw the big prize today sponsored by Stamp-n-Storage!! That has to be the biggest and most brilliant prize sponsored ever! Oh my gosh, my heart be still!! Thanks for sharing all the wonderful projects over the last 10 days! Good luck with the contest everyone! I love that plaid paper. and help you celebrate your birth. OH MAN Boy can I use this grand prize. My craft room is so crowded with my stash and equipment. I have enjoyed the party. Glad to have had a week of LIVE IT UP. Thank you for the projects, prizes and inspiration. I love the magazine and blog. Now I am off to email you my list of cupcakes. The treasure hunt was another fun game. Happy 10th and may you have many more. What a great craft. Thank you for all the wonderful inspiration, introducing us to new companies and for the amazing fun celebrating along with you and your team of Scrapbook & Cards Today…Happy Birthday and I am looking forward to more fun through your pages. Now to find those cupcakes…low calorie fun. Thanks for the chance….so exciting. Totally speechless!!! It has been my dream forever to redo my craft space and make it more functional….I spend 1/2 my time looking for this or that instead of crafting!! Thank you for this opportunity and for the inspiration I’ve gained the last 10 days! Oh, my! That would be my dream to give my scrapping goodies a permanent and organized place to be! Thanks so much for the chance to win! And a very happy birthday, again! It’s been so much fun celebrating with you!!! Wow! What a huge prize! You guys really know how to celebrate! Happy Birthday! WOW!! Amazing prize today. Thank you to Stamop-n- Storage!! And to SCT for these enjoyable inspirations!! Wow, that is a grand prize! So happy to join you for the birthday celebration. Amazing grand prize! Someone is going to be very lucky! Your sponsors have been awesome! Thanks! I love making banners and Megan hit it out of the park. Great idea to use smaller banners for the longer word, added lots of interest. I had to get up off the floor! What a fabulous grand prize. I can only dream about replacing my “mismatch, beg-borrowed and stolen” craftroom pieces with a matching set….Happy Birthday as I head off to ogle their website and dream. Wow, what an amazing prize package. Thanks to all of your wonderful sponsors and for a chance to win. Happy 10th Birthday and to many wonderful years ahead. It’s been a fun filled 10 days celebrating with you all. OH my, what a gorgeous room! Awesome time celebrating and loved all the inspiration from everyone. Super cute decorations and just love love all of your great sponsors and such great prizes as well. Wow 10 years, congratulations and Happy Birthday! Happy Birthday and many more! Thanks for the giveaway and the great products that you have for all of us craftaholics!! Happy Tenth and many, many more!! I think the only thing I love more than paper crafting is organization! Congratulations!! I recently discovered the Stamp & Storage company! Wow! Some of the DREAM ROOMS they have put together simply BLOW MY MIND! They even just came out with some new stacking drawer storage I have been eying up! I love their website with the craft room tours, have not seen them all but want too! Wow !! What an incredible giveaway !! So excited !! Would love this ! Thanks !! What an awesome way to celebrate the 10th anniversary. SO excited about the stamp & storage give away I almost forgot to tell you how awesome that BIRTHDAY BANNER DESIGN is!!! I love your banner! What I especially loved was that you shared some fun tips and tricks to overcome the challenges of things that you didn’t quite have (ie. I love the washi bows! Those are adorable and I have so much washi tape..what a great idea!). The grand finale prize is of course super amazing! It has been such a blast celebrating with you guys over the last 10 days! A big big Happy Birthday to you! Happy 10th anniversary. Only found you recently and am in love with your products. Wow, an incredible prize. Stamp n storage products are amazing. Happy Birthday SCT!!! Have loved the 10 days of gifts! Thanks so much for the chance to win prizes and for all the wonderful inspiration. This prize really takes the cake! Thank you for the chance to win such a fabulous prize. Would so love to add some of their products to my “scrap room”. Love, love, love their magnetic cards. Love the banner and am so looking forward to making one for my daughters birthday! Also LOVE the prize! Woo hoo! 10 is awesome! Congratulations on 10 Years! What a terrific accomplishment!! I love your giveaway idea, could not have been a better match! Wow what a prize! Would be so blessed to win. Such a fun banner! Thanks for this great contest and the chance to win. Happy 10th Birthday! Oh. My. Gosh. I would be soooo honored! I absolutely ADORE Stamp N Storage!!! My husband would be thrilled because I’d have an organized craft room and I can have parties and invites people to a crop and tell everyone else about you guys! I get giddy just at the thought!!!! Happy birthday!!! Just found this publication and something tells me I’m going to be here a LOT for ideas since I just started making cards. Also, the contest for Stamp N Storage credit would be AMAZING to win since I’ve definitely been building my wish list of products!! LOVE their stuff! A scrapbookers/card makers dream come true! Thanks for the chance to win this absolutely fabulous prize! Happy 10th and hopefully many more to come! Another great party idea! Thank you for sharing your birthday with us! Hope your next year is even more wonderful! Happy 10th Birthday SCT! The prizes are amazing, especially the Grand prize from Stamp-n-Storage! Thank you! Absolutely amazing grand prize! Thanks for doing this for all your devoted readers. Happy Birthday! Happy Birthday! I’ve enjoyed the birthday celebration and thank you for the chance to win such fabulous prizes! That is such a fun banner & a great way to use our supplies! Thanks for the inspiration & for all the chances to win! WOW! What an amazing prize for today! Thanks for such a fun celebration and a chance to win! What an amazing prize from a fantastic magazine! Thanks for the chance to win, but more importantly thanks for all the great issues, inspiring ideas & hard work that you have all put into SCT. I have enjoyed a few of your events & I love your magazine. Happy, happy birthday!!! Wow! just WOW! What a fabulous grand prize and so incredibly generous! Thanks for the chance to win! ?? What an amazing giveaway! I was just browsing through their site the other day dreaming of all the organizational things I need for my craft room. A very Happy Birthday to you SCT!!!!! Thank you for a chance to win your amazing shopping spree Stamp-n-Storage. A dream come true. I would be so grateful!! Fun Banner and an amazing prize! Congrats on 10 years cant wait to see what the future holds. Incredible products and prizes. Congratulations. WOW! What an amazing end to a fantastic ten days. You have really outdone yourselves. And the sweet treat search has been a lot of fun too. Thank you. Happy 10th birthday! Thank you so much for all you do and inspiration you give! I look forward to the next 10! Thank you as well for this generous giveaway and the chance to win! Another thank you to all the sponsors! Wowweeeeee Thank you for the amazingly awesome giveaway! I seriously can not stop staring at the beautiful pictures! Happy 10th Anniversary! Thank you for the chance to win, some of those fabulous storage itunes have been on my wishlist! I love that banner! That is a generous give-a-way for Stamp n Storage products! I dream of being able to getting that for my craft room. HAPPY 10TH ANNIVERSARY! Wow! What an amazing and generous prize! I love your storage solutions and sure could use a whole new craft space! My miss-matched shelves, drawers and storage units are looking pretty sad! Thanks so much for the chance! This has been an incredible birthday celebration and the grand prize – WOW! Happy birthday, SCT! What an amazing giveaway! Storage is always a challenge no matter how organized we are — what a super prize! Congrats on Day 10 — and all the days of the Birthday! Happy, Happy 10th & amazing generosity! Happy Birthday, SCT! What an amazing celebration–from fun birthday accessories to cards I’ve enjoyed every second! Thanks for the chance to win such amazing prizes, too! Love the cute banner. I need to make one :). Today’s giveaway is amazing…thanks so much for a great 10 days! Wow, such a fun project and an amazing price as well. I’ve been looking at all of the clever storage solutions by Stamp-n-Storage but I’ve always assumed the shipping costs to Europe would be prohibitive. So very, very excited about all the fun you have had for us this week!! So awesome and Happy, Happy Birthday to SCT!!! Happy 10th Birthday!! I love Stamp n-Storage! Welcome to the family!! Oh, my, do I need the prize you are giving today! I am in desperate need of organization for my craft room. This is such a generous gift from Stamp-n-storage. A big thanks to them. OMG! We are moving to a downsized living space and I could really use this chance to have proper storage in a smaller space. Wow! Thank you for this chance to win this. Happy 10th Birthday! Would love to win this great prize! I love the banner. After the party you can still use it to make scrapbook pages. What a great prize to be won. I love organizing just as much as crafting. HOLY COW!!!!! What a fantastic prize!!!!! Thanks so much for the chance to win!!!!! I SO need some organization in my life!!!!!!!! I can’t imagine gaving $750 to spend!!!!! What an amazing way to conclude the party!! Thanksfor the awesome giveaways!! Great contest and love the Stamp and Storage. Just spent a half hour happily clicking around their website! Happy Birthday (again)!!! What a remarkable milestone. Happy ten years SCT!!! So happy to be part of this great community. The grand prize looks wonderful!! I can only imagine!! WOW! That would be an amazing prize to win. I’d love to get more organized. And what a simple and delightful project. Love all the ideas. Congrats on 10yrs. Thanks for the opportunity! Fabulous banner. I definitely will try it. And thanks for the prizes . Thank you CST for an amazing 10th anniversary party!! Love all the giveaways but it would be fantastic to win the storage!! Congratulations! Happy 10th Birthday! This is so great! Would live to win and get organized! Love their stuff! Thanks for the chance! What a fun banner! Thank you for the chance to win any of these amazing prize packages over the last ten days! So generous. Such an awesome community! Happy birthday SCT team! Here’s to many more years of fantastic memories! ? Holy cow!!! I would love a room like that! And all the goodies in it:) What a way to end this celebration! Thank you to all the sponsors and congrats SCT!! Wow, what a wonderful prize! I would love to organize my scrapbook room with any of these products! Happy Birthday. What a great way to finish your celebrations. Happy Birhday! What a great grand prize. This is perfect timing, since I am trying to assemble a craft room! What a grand way to celebrate!! Such amazing grand prize! Crossing my fingers hard. Wow!!!!! What a great project!!! So so cute!!! What an amazing giveaway!!!! I would be over the moon to win!!!! What a great giveaway!! Happy Birthday & a warm welcome to Stamp n Storage! Wowsers! You saved the best prize for last! I wouldn’t know where to begin if I won, lol! But, it would be perfect timing since I haven’t unpacked my scraproom since moving into our new house and what better way to do it than to put things away in an organized manner, which winning this prize would allow!!!! Love the project today, so springy! Love the amazing products and have plans to own some very soon!!!!! Happy 10th Birthday!!!!????? Wow! Her room is amazing! Wow! That’s an incredible giveaway!! Thanks for the chance to win! And I love the banner! So fun! Happy Birthday, SCT! Wow, this is an astounding prize. Currently I do not have a dedicated craft room or adequate storage, so I am excited for this opportunity. 😀 Thank you for your generosity Stamp-n-Storage! Good luck everyone. What a great prize !!! Thanks for the chances to win all the giveaways during the 10 days! This. Is. Amazing!!!!!!!! Holy Moly, good luck everyone! So much to see and do. Your website is so fun and interesting. So many great deas and products. It’s been a fun ten days, filled with great projects and tons of inspiration. Thanks to SCT and all the generous sponsors. Today’s prize is so over the top – one lucky crafter will be ecstatic very soon!! Such an amazing grand prize! Thank you SCT and all of the fabulous sponsors for the opportunity to win some terrific prizes! Happy 10th SCT! Love you ALL. Happy Birthday. ??? How exciting!! That is simply awesome Grand Prize. I really do love the presents too. I can hardly wait to put these birthday ideas in my scrapbooks. Those birthday pages get a little boring after awhile. It would be a dream fulfilled if I was the grand prize winner. Fingers crossed! Wow, you have had some amazing and generous giveaways, today’s is just the icing on the cake! A huge thank you to Stamp-N-Storage, and all the other companies that have helped SCT celebrate 10 years of success. Happy Birthday Scrapbook and Cards Today? Oh my goodness when you said grand prize you really meant GRAND PRIZE!!!! !Thanks for the chance to win!!! WOW, what a GRAND prize! I’m not even sure I have enough supplies to fill in all that gorgeous storage space (if you build it, they will come – am I right?!). Thank you, thank you- for letting us join in on celebrating your 10th birthday, SCT. Good luck to all! OMG! OMG! OMG!! I’m salivating at the scrap room!!! Can you imagine?? OMG!! Someone’s going to be spoiled!!!! I would be tickled pink to win this prize and reorganize my craft room!!!! Thank you for this awesome give away! I want to fix up my scrapbook/card making room this spring! This would be a great way to hep and do so! Thanks for all the great prizes and chances. Happy Birthday! Happy Birthday! I would LOVE to win this. Thanks for the chance. Keisha’s room is to die for! Happy 10th birthday SCT, thanks for sharing it with us! Love the birthday banner!! Cute and simple! Thanks for sharing! And then there is the GRAND prize…wow!! I have been struggling to organize all my items and now with several recently retired friends who come over to scrapbook, the storage opportunity is a dream!! Yes, I can imagine sitting and picking out options!! This has been a FANTASTIC birthday celebration SCT!! I have enjoyed your designs, ideas, creativity for years and this celebration has been fun to see everyday!! May there be another wonderful 10 years!! The Birthday Banner is so cute. What an awesome prize for the last day. Happy Birthday again SCT. I love the banner – so cute and simple to make! Happy 10th birthday! I love the banner nd thanks for the fabulous opportunity to win a super prize! Happy, Happy Birthday, SCT! I love your magazine and your blog! Thanks for the chance to win! O Wow! That is the coolest prize ever! I was thinking of doing my craft area this year, so winning this prize would be so exciting. Happy Birthday SCT! I love your mag and wait for every issue! Wowza!!! That is an AWESOME grand prize. I am just re- doing my craft room and this would be amazing!! Then I would have more to spend on everything else. Thanks for the chance to win! The banner is really cute! What a great Grand Prize! Thanks for the last 10 days. I’ve enjoyed all the tutorials and the chance to win prizes! Happy Birthday, SCT! and many more!!!!!! That birthday banner is so cute! What an amazing grand prize! Thanks for the chance to win it! Love the banner, very cute! Thanks for having an awesome giveaway and Happy Birthday SCT!! WOW! What an amazing prize!!!! I love their storage options and I could easily spend that $750 in a shopping spree! Good luck to everyone…someone is going to be one lucky gal! What a Grand prize – I need to get organized! Thank you SCT and all the sponsors for their terrific products and ideas! Whoo Hoo!! Thanks for the opportunity! Happy Birthday! Best wishes to all. OMG. This would be sooooo amazing to win! Eeeeek! Thanks for all the chances this week, and Happy Birthday! Wow! Great organization pieces. So need these. The grand prize would be the most amazing prize ever. Love the banner. It’s fresh and colorful. Also thanks for the opportunity to win some organization. Happy Birthday! I would love to win something for my birthday next week. Stamp N Storage is the best. I’d love to add more of their products to my new craft room. Cheers to the next 10! thanks for the chance to win! I am totally in love with the prize for today – here’s hoping. Loved the 10 days of fun. Happy 10th SCT!!! Great rainbow banner! Thanks for the chance to win such a great grand prize! What a great banner and yes the x is useless!! I would be so thrilled to win the prize today! What a fabulous prize for your final Day 10 giveaway! Thank you to all the sponsors for their contributions from Day 1 to 10. 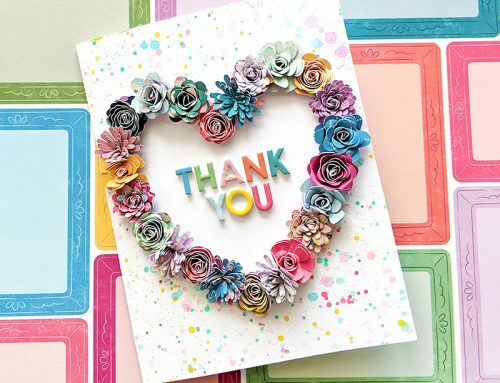 Thank you too for the scrapbooking, card making idea from Secapbook & Cards Today. Happy 10th Birthday? WOW!!!! What a way to end your 10 days of Celebration with that fabulous banner and great tutorial, the last of the challenges and Stamp N Storage joining the SCT’s Family with that fabulous Grand Prize. In baseball (my favorite sport) this is a “walk-off Grand Slam” at the bottom of the 9th for a WIN!!!! SCT and all their wonderful partners ROCK!!!! Thanks for the fun! Wow! That is one of the best prizes I have seen. How I would love to win that one. I’m a Virgo so I like everything neat, tidy and organized but because I lack the proper storage system, I have not reached that comfort point. Thank you for the chance to win. Oh, how AmAzInG!!! I saw their ad in the spring issue and thought I had not heard about them, but I drooled over their photo in that ad and it is just great that they are giving this away in celebration! All crafters need storage solutions and this is mighty fine! Happy Happy Birthday! Your mag is so fantastic and I love that it is in print form. What an amazingly cute banner idea! So simple and so exquisite. Welcome Stamp n Storage for your fabulous contribution, wouldn’t it be fun to go shopping! Happy, happy birthday SCT. I LOVE the organization items from Stamp-n-Storage….. If you saw my crop space right now, you would totally agree that this girl is in some dire need of organizing help…..I am so hoping I am the lucky winner!!!! Thanks for this awesome chance!!!! Happy Birthday!!!! What an adorable banner. Love the bright happy colors. And what an amazing prize as a finish. Pick me. This would be such an awesome shopping spree. A very Happy 10th Birthday STC. Thanks for the amazing 10 days of fun. Yowsa! What a prize! Organization would be a dream come true! I have seen a number of rooms organized by Stamp N Storage and they are all georgeous! Many thanks for a generous birthday gift and good luck to all! what a fun way to end the days of celebration. Love how your banner looks like little presents. Happy Bday and thanks for a great 10 days and years! Thanks for sharing the fun birthday decor! And….what a phenomenal grand prize opportunity! Happy birthday SCT and thanks so very much for sharing the presents with US! Thanks for sharing with us every week – fun, adorable projects and great tips and ideas. I learn new stuff every week. Here’s to at least 10 more years! Oh my, what a great giveaway! Happy Birthday SCT! SUPER CUTE and FABULOUS birthday banner Megan!!! SERIOUSLY AWESOME prize today – WOW – it would be WONDERFUL to have my crafty stash ORGANISED!!! THANK YOU for sharing your TEN days of birthday celebrations a for the chance to win too!!! Oh, my, goodness; this giveaway is beyond amazing! My OCD is tickled by the thought of being able to organize all my scrapbooking stuff in these Stamp-n-Storage storage products :). Thank you and happy birthday, SCT! Happy Birthday and thanks for the opportunity to win these amazing prizes. Love SCT. wow! What an amazing giveaway and a great way to celebrate the important milestone! Thank you for the amazing work that this team is putting out…and of course for the chance to win! What a GRAND prize! So awesome! Happy 10th birthday SCT! Oh, the things I could organize! Such a great giveaway! I would love the grand prize, it would help tame my craft storage overflow. Thanks for the opportunity to win all of the amazing prizes. Wishing you continued success for many more years. What a great prizeto win!!! What a fun birthday banner, love the patterned papers and vibrant colors! WOW, that grand prize is so generous. Thanks for all of the amazing giveaways and Happy 10th birthday. Oh my gosh ! To be that organized. If I had a workspace like that, I’d never leave home. Happy 10th Birthday! What an amazing giveaway to end an amazing week! Absolutely love your banner! That is an awesome prize! Good luck everyone! Amazing giveaways. Thankyou and looking forward to seeing another 10 years. Wow, Day ten is full of great ideas and prizes! Thanks for a fun ten days of treats! adorable banner and omgoodness, how cool is this giveaway?! Great prize. It’s been fun the last 10 days. First of all, your banner is amazing! I love the colours too! Happy Birthday! You sure know how to celebrate! Woohoo on today’s sweet prize! Thank you Stamp-n-Storage! This is a dream come true for me! I can see my name on your winner’s list! Oh My Gosh!!! What a wonderful prize. It really does deserve to be the GRAND PRIZE. Thank you for the chance to win it. It would force me to clean my craft room and re-discover some of my supplies. Love the birthday banners project! What a great way to wrap up a fab ten days! Happy birthday and thanks for the ride! Wow!!! What a fantastic grand prize! I would LOVE to win these storage pieces. Thanks for the chance. Thanks for offering such a fabulous prize! Happy anniversary SCT! What an amazingly generous giveaway! Your magazine always inspires me and finding it in my mailbox 4 times a year makes me smile!! Thanks for the chance to win such an awesome prize! So much fun. Hoping for many more celebrations ahead. Megan, you are the washi queen! Love the banner. Thanks too to all the fabulous sponsors for all the generous prize. I’ve just spent way too much time watching You Tube videos of crafters who have used Stamp-n-Storage products to create their dream craft rooms and I’m so envious. Would love to win and be able to tweek my craft room to perfection. Thanks for offering such great prizes and congratulations on your 10th anniversary. I wish the fine people at Stamp-n-Storage would come over to my house and organize my stuff for me! But their equipment is a good start! Thanks for the opportunity to win. This prize is a dream come true. Thank you for the chance to win. Happy Birthday and many, many more! Thunk!!! That was my jaw hitting the floor in total amazement! I have wanted such a system in my craft room for a long time. Crossing my fingers and toes for the opportunity to win! These 10 days have been very fun and full of great inspiration! Happy birthday once again. So happy that you are still around and thriving! OH MY GOSH!!!!!! What a fabulous prize. Thank you for the chance to win. It’s been a fun 10 days. Great banner! Thank you for the chance to win this amazing prize. Happiest of birthdays SCT!! Wow!! Love the banner, and what a fabulous giveaway with a new partner to welcome to the SCT family. Drooling over here!! Happy birthday SCT! Happy 10th Anniversary!! Well done:) The grand prize is the bees knees? Love the banner idea – soooo sweet! i’ll be borrowing some of those little tips. I cannot wrap my head around a prize like that. just amazing! This is more than amazing 🙂 Thank you so much for the Chance to win. That banner is a good idea to use up some of my washi stash! And what a GIGANTIC price!! Amazing!! THANK YOU so much for the chance to win this!! Happy 10th Birthday SCT! Thanks for all of the great ideas. I’m learning so much!!! Love the stamp n storage products! I would love a shopping spree. I have some of their products and they are great for storing paper, punches, ink pads, markers and much, much more. I have never been disappointed with my purchases. Well, when you folks celebrate, you really do it in style! Thank you for creating a magazine that is full of great ideas, inspiration and information. I love that I can download it and have it with me so I can reference it when I am away from my craft room. AND I can download it for free. I make sure to pass the word along to all my scrappy friends as soon as the latest issue becomes available. Thank you so much and looking forward to many more years of enjoying your great publication. Happy 10th Birthday! I really need this! It would definitely help me get organized. Then I could spendore time creating great gifts. Wow I hope I win! All I can say is WOW! This would be amazing to win. I love organization products. Happy Anniversary, SCT! Stamp-n-Storage has such wonderful products! I need all the help I can get to help keep my creativity a little more organized and visible. Thanks for the opportunity! Wow, you all really know how to throw a party! Congrats and Happy 10th! Thanks for the chance to win some awesome goodies! Happy 10th! Thanks for the chance at such an amazing prize. Great storage ideas and lovely ideas for a banner! OH MY what an awesome prize!! Would make my scrapbook room renovations much more fun to do!!!!! Thank you for allowing us to particulate your 10th birthday!! HAPPY BIRTHDAY SCT!!!!! I love the Birthday banner and will definitely be using it for my Granddaughter’s upcoming Birthday! Thanks for all the awesome prizes (topped by your final organizational deliciousness) offered over the past 10 days, what fun! I hope you continue for another 10 years and I thank you for all the inspiration I get from your blog everyday!!! OMG!!! A stamper’s dream come true. You do know how to make a birthday party go out with a BANG!! Stamp-n-Storage makes such fantastic storage items. If I don’t win anything but this for the rest of this year (I never win anyways) I would be more than grateful. Wow. What an awesome grand prize. Would love to be creative in that room. I enjoyed seeing you all at the Calgary crop and create. Can’t wait until next year. Keep,up the creative flow. Thank you for the opportunity to win prizes. Wowzers!!! What a wick grand prizes. That room is fabulous an every scrapper dream room for sure.I have enjoyed the last 10 days of projects and giveaways. Thanks so mush to the wonderful sponsors . Happy 10th Birthday. Oh my goodness! My heart skipped a beat when I saw the organizers. Every scrapper needs that! Loved the birthday banner. I will do this! Happy Birthday!! Thanks to Stampin Up mentioning you on FB today, I know have a new paper crafts magazine!! Hoping I can find you in print in a store near me. Do you offer monthly subscriptions where I can get a paper copy in the mail? Wow!! Thank you stamp-n-storage for this incredible giveaway!! I am in the middle of moving my scrapping room to the basement (yes, the whole basement)! Would be an amazing prize! Good luck to all and a special wish to SCT for much more success! You rock! I only just discovered stamp and storage this morning and fell in love immediately – all those delicious solutions makes me one happy organizer… I am also happy to say that I had already liked at least two thirds of the sponsors and have products from almost all in my stash! SCT has been an inspiration to me throughout all of my years of scrapping (started in 2007) and I have appreciated both the online magazine as well as the physical magazine which I pore over even years later… thanks very much SCT and happy happy 10th birthday! Oh my goodness- every crafters dream is a well organized space, and holy cow this would be my dream! To have better organized storage instead of old bits from all the dicards from other rooms in the house! So incredibly generous of you and Stamp-n-storage!!!! First, how appropriate to have paper gifts for the SCT birthday and they sure are cute. Wow! Wow! Wow! Wow! Wow!!! That is one spectacular way to end the birthday celebration! Love your birthday banner, Megan. Super cute and fun!! Thank you for day 10.. Just Amazing 1o Days with you.. Happy Birthaday again.. And thanks for the fabulous sponsors! This prize “takes the cake” (pun intended). Happy Birthday SCT & thank you Stamp-n-Storage, wow! OMG! That grand prize is just fantastic! Thank you Stamp-n-Storage for your generosity. Also, big thanks to SCT for all the fun on your birthday! Here’s hoping to another 10 years! What a lovely birthday banner! Happy 10th birthday and thanks for the chance to win! Awesome collection!! Thank you for this opportunity. I love your products Stamp-n-Storage!!! Oh my word….what a prize! Someone will be a very lucky winner….thanks for the great inspirations and chance to win awesome prizes! Your happy birthday banner (and dog) look so cute 🙂 Keisha’s craft room is wonderful! I could definitely use some craft room organization. Thank you for the chance to win this awesome giveaway! Congrats for your 10years!! 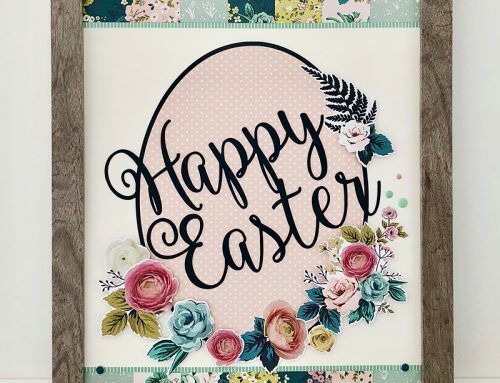 Wishing you the best and thanks for all thèse awesome prizes! So I have this huge craft room, that is praying for organization, bags everywhere and no place to put them. This grand prize would be awesome. Wow, this is really a nice prize. Thanks for the opportunity. What a cute banner idea – keep up the good work and a Big Happy Birthday!!! What an awesome prize for Day 10! Since this is where I am starting, I will go back and check out out the other 9 days. Happy birthday, Scrapbook and Cards Today! I always enjoy looking at all the cool ideas in your digital mag. Great idea with the banner and the prize is awesome! What a phenomenal grand prize! Someone is going to be SO VERY happy!!!! Thanks for such an amazing chance to win! The chance to win any of the prizes would be amazing … Thank you! Fantastic day! Love the banner. The grand prize is awesome!! Thanks for the chance. Wow-that is a very grand grand prize! Thanks for the chance to win! And the banner is super cute. What a great grand birthday prize! Wow! Crossing my fingers for todays prize! Happy Birthday! Wow what an amazing prize! I would totally be like a kid in a candy store!! Stamp n’storage is an awesome company! What an amazing prize! And it is truly GRAND! Such a great birthday celebration! What pretty papers & washi! Wow, oh wow, what a fab prize to top off the fun! Thanks for the chance to win this! !! HOLY MOLY SCT!! Congrats on the big ten and thanks for all your inspiration!!! Thanks for the chance. You birthday celebration is a perfect time, mine is today. Wow that is a dozie of a grand prize!! Awaiting my first copy of the mag! Omg! I just died a little from the sheer excitement of it all! What an amazing giveaway (not to mention the other 9 as well)! I am beside myself just thinking how badly I need storage and organization!! Thank you so much for the opportunity SCT!!!! What a wonderful grand prize. Thank you Scrapbook and Cards for a great 10 day celebration and congrats on the 10th anniversary. Happy 10th Birthday! What an amazing prize! Happy Birthday again and thanks for all the giveaways and fun! I love the banner!! So many amazing prizes! Love the magazine – thanks for the chance to win Stamp-n-Storage. Oh what I could do with this prize. WOW! What an awesome Grand Prize! Congrats Catherine and the SCT crew on 10 years!! I could use the organization help badly?Thanks for the chance to win!. Love the banner! Gives me ideas of how to wrap presents next time I need to! Happy Birthday SCT! You giving US presents on YOUR birthday? Wowsers!!! Love you! OMG what a fantabulous prize. Thanks for all you do! Happy 10th Birthday! Love the magazine. Thank you for allowing us to celebrate with you. Thank you Stamp n Storage for sponsoring the Grand Prize.I can’t wait for the summer Stamp n Storage catalog to arrive in my mailbox. Happy Birthday! I just LOVE your magazine. This banner portrays spring! Love the patterns and colours! Happy Birthday SCT! I can imagine it and I would love it!! This would be a dream come true!!! Wow amazing! Thank you so much. I look forward to every release! Today is my birthday……I’m a few years older than 10 though 😉 Being a designer that has a small closet for storage and works off of a tv table & the floor, I could use some real storage organization. So much of my design time is fpent finding my supplies and putting them away. My designs may be amazing, but my storage is far from it…..LOL! I can’t even imagine how much easier designing would be and time effective! Thank you to Stamp-n-Storage & SCT for this most amazing giveaway!!! Happy 10th Birthday & many more SCT!!!! Wowzers!!! Could I use the Stamp n Storage prize! Would LOVE to have this awesome type of storage!!!! Happy Birthday, again SCT. Thanks so much for such a wonderful opportunity!!! You guys ROCK! WOWSERS!!!! What a prize indeed! CONGRATS ON 10 YEARS!!! Woot, woot to all your sponsors too! Wow! What a super giveaway! !Thank you to the partners for making it possible! I can’t imagine a scrap room like that!! Oh my!!! Thanks for the opportunity to you and Stamp-n-Storage! Thanks to SCT for all the great years of inspiration you have given us crafters. You always make everything look so easy and give us the heart to try new things. And to Stamp-n-Storage, I’m so glad I have learned about your products. They truly make my heart sing with the thought of organizing the crafter in me in such a beautiful way. Thank you for the opportunity to win such a great prize!! Keep up the good work!! What an amazing and very generous prize! Thanks for the chance to win! I’m trying imagine! Really, I am. : ) What an awesome prize from Stamp-n-Storage. Congrats on reaching the double digits, SCT! What a cute birthday banner! I love it! Thanks for the chance to win some fun goodies too! The banner with the washi tape is a great way to use all that tape up. The grand prize and all of the pictures of that much organization just makes me drool (in a good way). That would be an awesome prize. Amazing grand prize! Who couldn’t use more organization in their craft space! I know I can. WOW!!! You guys sure know how to make a big impression. I can’t believe all of the wonderful tutorials and shares you have done with us. The prizes for everyday have been amazing!!! Today’s prize blows my mind and would be incredible to win because I am just in the process of figuring out what I want to do for my reorganization project. I would be over the moon to win this prize!!! Thanks SCT for an amazing 10 days, wonderful publication and fabulous team!!! Happy 10th Birthday…many more!!! and such a very generous giveaway…. thanks for the chance to win! Happy Birthday! ??? such an awesome giveaway for day ten! I now have a little craft room, so it would be awesome to get some stampin up storage to store my paper craft, stamps, etc! Happy 10th birthday!! I love storage solutions! And what crafter doesn’t need more organization!! Wow! I love everything.? My craft room needs this in a big way.??? Cutest idea for a bday banner and using up tags, alpha, and washi!! Love it! Wow, what an awesome prize… To organize! Oh wow, this IS a GRAND prize!! Thanks for the chance to win it:) This has certainly been an exciting birthday party – here’s to many, many more SCT! What an amazing way to celebrate and it was so much fun combing through the magazine to find the cupcakes and desserts. Thanks for all you do for the industry and so glad to support a Canadian company!! I LOVE organization!! This would be a dream come true!! Thank you for the opportunity to win!! Happy 10th Birthday!! Wow – what an amazing grand prize!! Thanks for sharing your birthday fun – happy 10th! What a great birthday celebration, full of wonderful prizes and even better craft inspiration! Thanks for 10 years of amazing tips and crafty hints..and a super giveaway! Great grand prize-thanks for the chance to win! Totally drooling. would love to win a Stamp-n-Storage shopping spree. Thanks for the opportunity. Happy 10th. WHAT A GREAT CHANCE TO WIN!!! Welcome to the SCT family!!! you’re selling such awesome products!!! Wow! I am not familiar with stamp n storage but I am off to look at everything they have to offer! I love the look of an organized space! I hope I win! Holy cannoli! What a prize!! And I can’t neglect to mention that the birthday banner is so cute!! What a grand prize!! I would love a little organizational help in my craft room! Good Luck to one lucky winner to receive this awesome prize! What a fabulous 10 days it has been!!!! Love the cool birthday banner idea–who doesn’t have 6 X 6 paper pads laying around??? I can’t believe that amount of amazing prizes this year!!! Fingers crossed for the big haul of organization tools which I sorely need! Happy Birthday SCT and THANK YOU!!!!! What an incredible prize! I have been following Stanp-n-Storage for a while and love everything they have to offer. Right now I have zero space for crafting, but will be moving this summer as my husband is military and getting restationed. I am hoping we can find a home with extra space for me to have a craft room, and the prize being offered would really help! Thanks for the wonderful opportunity! I’ve been drooling over this ad in your Spring issue. My scrap room is badly in need of some fresh new organizing ideas. The tag banner is so adorable. OMG this last sponsorship is fanfriggintabulous!!! That is my very own special made up word for this giveaway! Great banner and fabulous crafting space – thanks for sharing! First off MEG I love that banner. The concept is simple, but soooo cute and creative. I adore it, I think I’ll have to make one. 🙂 You all did a wonderful job with this birthday celebration. This giveaway is super AmAZing. I couldn’t even imagine winning this giveaway. Totally in need of some crafty organization before the baby gets here. Good Luck to everyone and I’ll totally check out the sites of the sponsors. Happy, happy birthday SCT!!!! Wow! what an absolutely fantastic prize-I could definitely use some organization!!!! OH MY!!! What an amazing grand prize!!! Wow!! Well happy Birthday again!! This was fun and I love your magazine!! Wow!!! How amazing is that?! I’m definitely lacking in the organization category, thanks for the inspiration and the chance to win! Wow! What I can do w/$750. Makes me dizzy just thinking about it 🙂 thanks!!! Holy Organization! What a generous sponsor! I really enjoy receiving the weekly blog update in my email on Fridays. After the long work week I can get inspiration for my crafting weekends. Thank you SCT for! Happy Birthday!! I love this company. They make quality products. What an AWESOME grand prize! I love love love Stamp N Storage …. thanks for the opportunity to win some fabulous prizes to help me better organize my fun!!! Wow! This grand prize is truly a dream come true for the lucky winner. Congrats again on your 10th anniversary. I am looking forward to celebrating many more with you. Happy Birthday. I love stamp n storage and I love SCT magazine. Thank you for the inspiration and information to keep me motivated and interested in my projects. Happy Birthday!!! Megan has some great ideas- I’m putting them right to use with 3 birthdays in the next 6 weeks. Thanks for such a great magazine! BLOWN A-WAY!!!! Happy Birthday!!! I happened to celebrate all day on Thursday with you for my own Birthday bash – made it super fun to add things to my wish list 😀 Guilt Free haha. Thanks for all the inspiration and a chance to win the most fabulous prize line up! Keep celebrating! What a wonderful birthday prize! This is perfect timing as we just purchased a new home and am in the process of setting up my new crafting space! Wow……that is an amazing grand prize! Thanks Stamp & Storage. All the projects and giveaways have been amazing and fun! Thanks for the chance to win! Omg, omg screaming off the top of the mountains are you kidding me, a dream scrap room from Stamp and STorage, funny that I took a screen shot of that scrap room and sent it to my hubby asking if I could have a room like that, and maybe if I win I could have something pretty darn close. Happy Anniversary Scrapbook Cards and Today, here’s to 10 more years. Oh My Goodness!!! What an amazing way to finish off this celebration!!! I would ABSOLUTELY LOVE this… Who wouldn’t!! Keep on celebrating with paper! Love paper!! wow 10 years already. always love your organizational supplies to make our lives easier and more creatively inspired. Wow, that is a really GRAND prize. 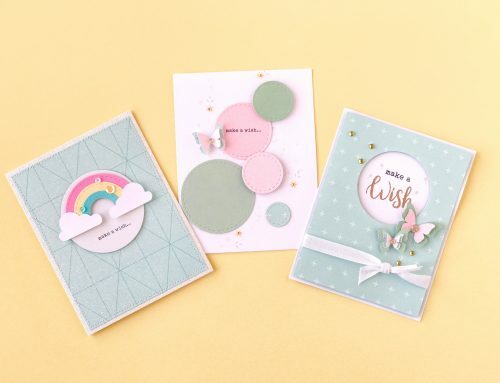 What a generous new partner who sells dream products for any scrapbooker or card maker. I see some new storage items in my future! Congratulations on 10 wonderful years! Wishing you (and us) may more yars of success and happy! Long live scrapbooking! Wow, what an amazing sponsor Stampin’Storage is! I am drooling over the beautifully organized room shown. Thank you SCT & Stampin’Storage for the opportunity to win! Happy Birthday – thank you for years of inspiration! Wow! Love your banner and that prize is amazing! Good luck everyone! What a dream come true it would be to win such fabulous storage products! Awesome giveaways and awesome partners! HaPPy biRtHDaY. Not sure I can imagine it, but willing to try. Um, wow! What an incredible prize, that is amazingly generous. Big thanks to all the sponsors and of course all at SCT, so glad you’re around to deliver such great inspiration! What a wonderful way to celebrate your 10th Birthday! The room is gorgeous and I know that someone is going to have a blast with the Stamp-n-Storage shopping spree. Thanks so much for 10 years of fabulous inspiration. Looking forward to seeing even more. Love the banner!! Happy 10th Birthday to you!! This is a fabulous prize that anyone would be happy to win. Thanks for the chance to be one of them. OMG!!! What an awesome prize! That room is gorgeous! OH.MY!!!! Stamp n Storage – what an awesome giveaway! Thank you so much for the opportunity to win this! I’m drooling! Love the banners! Amazing prize to wrap up the celebration! Amazing giveaways!! Happy 10th birthday SCT! Beautiful banner! What a wonderful chance to win! Happy birthday!!! What a WONDERFUL grand prize! My craft room is in dire need of better organization, so winning this would be AWESOME! WOW what a fabulous prize! Crossing fingers, toes and everything else……Happy Birthday SCT! the storage systems are grand. thankyou for the chance to win.To organize my craft room would be incredible. it would be a dream to win this! What a great banner design Megan! Thanks for the tips & all the details. What an amazing Day 10 grand prize for you to wrap up your 10th B-day Blowout SCT!!! This has been an amazing Party – thanks to all the partner – esp ‘Stamp-n-Storage’ – welcome to the SCT gang of team, partners & readers!!! Best Wishes Catherine for another 10 amazing years with this terrific magazine!!! ??? Happy birthday SCT!! Wow, very generous giveaway!! Thanks for the cance to win! What an amazing and generous gift from Stamp-n-Storage. I have been coveting their combo ink pad/refill/marker holder for ages! Happy birthday!! Wow! This is a pretty amazing prize! Congrats on 10 years and here’s to 10 more! Happy Birthday! Can’t wait to see what’s in store for us! Very cute project. Happy 10th! Wow!! wOW!!! This is amazing prize! Wow! I love Washi!!! That organization is amazing!!! Happy Birthday!!!! Thanks for the chance to win!!! This has been a fun, fun, fun 10 days! I do love the prizes, but participating was fun in itself. Thanks for the opportunity! Love the magazine! Happy Birthday and thank you for celebrating with these great prizes! Happy 10th Birthday!. I love the magazine – I love every page, especially the tips and layouts to scrap lift!! Happy Birthday…thanks for sharing the presents with your subscribers. Wow you all are so amazing! The ideas. The concepts. This is my first time on the site. I am so looking forward to enjoying the hard cover magazine. Please continue what your doing for the next ten years!! Happy Anniversary! You are so generous with your prizes. Fingers crossed! Wow – what a grand prize! Wonderful banner! Great party! I’m off to find some cupcakes! Wow, just this weekend my hubby agreed to let me take all of my craft supplies out of the closet and create a crafting area at one end of our family room! An organizing system would be a HUGE help right now! What an amazing prize. Thanks for the chance to win!! I really could use some organizational help. What an amazing giveaway! Good luck to all and happy 10th birthday. Happy Birthday SCT!! Thank you for everything over the last 10 years. Thank you so much Catherine, all of the staff at SCT and all of the amazing sponsors for the opportunity to win ANY of the amazing prizes from SCT’s birthday celebration! Happy birthday SCT!!! Wow! The grand prize is definitely G R E A T!!!! Thank you for this amazing chance! Having fingers crossed! I love this Happy Birthsay banner! HOLY CRAP, I am sorry, but that is insane!, WOWZERS!!!!! !, what a final prize to end the Birthday contest. Congratulations again on 10 years! I love this concept of this banner and what an awesome giveaway today!! OMGoodness! This is a totally awesome prize! I can just see my craft room getting organized now! Thanks for the chance to win, and congratulations to you on 10 wonderful years! Happy 10th anniversary! Great content and activities throughout! Thank you for everything! Happy Birthday- I love the photo of the dog checking out the fun banner! Wow! Now that’s a grand prize! Happy Birthday and thanks for the opportunity to win! That is one awesome prize!! Thanks for the chance to win. Love your site!! Happy Birthday to a great magazine. And Stamp-n-Storage is a wonderful company…I have started to collect their storage units, and hope to go on a big spree after we move into our new house and I have a larger studio. Amazing 10 days of awesomeness. Many thanks to all for the wonderful inspiration and fab prizes. What an amazing week! Happy Birthday! Thanks for a chance to win an awesome grand prize!!!! oh my goodness this is simply amazing! Fabulous ideas and that Grand prize is to die for! Happy Birthday SCT! What a fun and colorful banner!Love it! Happy Birthday SCT! Thanks for the chance to win. Wow!! What an amazing prize. It’s exactly what I need to get organized as I have boxes and bags of scrap supplies covering the floor of a spare bedroom. Thanks for 10 great years of fun and inspiration and wonderful prizes along the way! Happy B-day! Can’t wait to see what is coming next! Oh my word! The thought of organizing my scrap space in an organized and coordinated way is almost too much to dream about! Thank you for the chance! Love the paper in today’s project! What a wonderful prize that would be! Every crafter dreams of an organized space and the options that Stamp-n-storage offer are amazing, thanks so much! Happy Birthday SCT! This party has been so much fun! The ideas are so creative! From invitations to party hats, candy bar wrappers to banners, cards to presents! And the icon by my name is my favorite color! How did you know! Thank you for the chance to win the Grand Prize! Heaven knows, my scrapbooking room could really use it! Thanks again and here’s to another 10+ years! Another neat banner. Love it, looks like a bunch of gifts. This could be used not only as a banner, but involve it in a game of some sort. I will have to think on that one. Thanks for the opportunity for a chance at winning some fabulous prizes. Once again congratulations on your milestone. Here’s to the next 10 years. It just keeps getting better and better. This would be an amazing win. GOod luck to everyone. Like be the non-traditional banner. I love the rectangles instead of a triangular flags. I am a total storage junky. Would love to win this one. Thanks for all the amazing prizes!! All of your partners in craft are amazing. The grand prize is phenomenal. Thanks for keeping us scrapbook era inspired. Love stamp-n-storage products. Happy Birthday! Love these adorable presents and tags Thanks for the chance to win. LOVE that the banner is full of presents. Thanks for inviting us to your birthday celebration. Wow, Stamp and Storage, what an awesome prize! thank you! Happy birthday SCT! Wow! What a prize!! Love the stamp-n-storage products. I own a few and they are just wonderful! I love the banner -so simple and so pretty. Stamp -N- Storage products are beautiful . What an amazing and generous prize. Thank you for ten wonderful years. Continued successf. After winning this great prize… I will have to rearrange my scrappin room…cant wait!!! Thanks for the great opportunities!!! Love all of your wonderful information about all aspects of paper crafting!! hAppy 10th. Birthday and wishes for many more!!! Happy 10th Birthday! I could not believe my eyes when I saw the prize for today!!! Incredible and generous. Thanks for the chance to win! WOW that is an amazing Grand Prize – Thanks for the opportunity to win! Happy Birthday and here’s to many many more!!! Fabulous grand prize! Every scrapbooker’s dream! Happy birthday! Wow! Awesome finale! Fantastic prize for any reader! What a great way to end the ten days! Thank you Megan! Continuing congratulations on your anniversary ….you are all amazing! Thank you so much for your dedication and willingness to create! Thank you so much for such an amazing celebration!!! Here’s to the next 10!!!! You always have incredible gifts to give away. Happy 10th birthday and many more to come! I’d love to win! Very cute banner idea! And … knock me over with a feather if I win this prize! Wowza! Thanks! what a really fab prize. Thanks for the chance to win and have an awesome birthday party. Happy 10th Birthday. It’s been fun to follow along during your celebration. Happy 10th!! What great giveaways! What a quick and cute idea for a banner! And the grand prize… AMAZING! I have dreamt about having a room or even a desk like that! Maybe wishes will come true! Thanks for a great party and all the wonderful ideas and prizes! I really loved this banner and feel that the tags and mini boxes could be reused on a scrapbook or card. What an incredible grand prize! WooHoo! Stamp-n-Storage is the ultimate in craft storage. Thanks to them and all the sponsors for the great giveaways. And again, Happy 10th Birthday to Scrapbook and Cards Today! WOW! Yes, please! Happy Birthday! Happy Birthday! Thank you for all these giveaways! Happy birthday! You all are so inspiring and such a great company! Hope there are many birthdays to come! Happy, Happy Birthday! Thanks so much for the chances to win. Oh wow! This is a dream prize. The only thing I love more than scrapbooking is organizing my supplies! Thanks Stamp-n-Storage and welcome to the SCT family! Happy 10 years SCT. Looking forward to 10 more years of print! Adorable banner. What an amazing giveaway. A dream come true! Oh, my, I am drooling. My craft room is such a mess that it is difficult to get creative. This would be a dream come true. Thank you SCT and Stamp-n-Storage. Happy Birthday!!! Thanks for the wonderful inspiration and for the chance to win such amazing prizes! It’s been so much fun!!! This is really fun! I am so glad I played all the way through. New ideas and products I am not familiar with have links to check them.out. Thank you thank you! Oh, I’d so love to organize my crafts with some Stamp-n-Storage components! What an amazing Grand Prize. Wishing Scrapbook and Cards Today a Happy 10th Birthday. Here’s to the next 10 years!! first – cute banner! love the washi bows! genius! but the Stamp n Storage giveaway!!!!!! Oh MY! That would be absolutely amazing to win!!!! We’re moving across the country in a few mths, I’d be over the moon thrilled to be able to have my own scrappy space to fill with this prize!!!! thanks so much for the chance to win it! and Happy 10th SCT! to many many more celebrations! Love the banner! It is so fun and colorful! Thanks! What a totally awesome prize!!! wow! THANK YOU! OH MY LORD! This one is a doozy! Thanks for all of the amazing prizes. Happy Big Birthday day: day 10…super creative use of the washi tape to make the bows and to make the birthday letters smaller for a better fit. Super clever ideas. and thank you so much for the fun and darling giveaways throughout the celebration. Keep up the great work, I have been a fan of your magazine for a very long time. I’ve enjoyed seeing all the great ideas for the past 10 days. And now this final prize is incredible. Someone’s going to be very lucky and happy. Thanks Stamp-n-storage. Nothing like improving the organization of my crafty stash! Happy Birthday SCT! Amazing banner…great inspiration for the next celebration! The grand prize is amazing… very generous! Oh, what I would do with a room like that! Congratulations again! Loved SCT 10 years ago and still do to this day,,,All the best for another 10!!! Happy birthday! What a fabulous prize which I really would love to win! Especially since I just had to empty my whole craft room due to a recent flooding issue and I love being organized! Omg Stamp and Storage where have you been all my crafting years! SCT what a wonderful gift to end your ten days of birthday celebrations. I would love to have my supplies all organized and stored properly so l can see what I have to create with.. Happy Birthday SCT and thank you for ten years of creating excitment in print form that I can’t wait to read from cover to cover every few months. Congratulations to you! So much fun during this celebration. I just have to add- pure genius cutting a leg off the x to make y. Thanks for all these fab prizes. HB2U SCT!!! Love that room – oh one can dream! All t h e help organizing!! How sweet it would be. That sure is a GRAND prize. Thanks for the opportunity to play along! What a great prize giveaway on the 10th day to help celebrate your 10th anniversary! May you have many more! Thank you for all the great ideas and insspiration!!! Wow wow wow!! Thank you for the inspiration this week and of course for the chance to win all these great prizes. Swoon*** awesome storage products!! Happy Birthday to everyone that puts this wonderful magazine together! Stamp-n-Storage definitely has all the products I need to get organized. This is a huge prize from them! All the sponsors have been very generous! What fun this has been! It’s amazing how 10 years can fly by…Congratulations on the past 10, and here’s to hoping for 10 more! Holy smokes!!! OMG, I would have so much fun planning out a craft room. I don’t really have one now, most of my supplies are in boxes and everything is spread out. I work on projects and spread out on my dining table but then the kids come home for a weekend and I have to put everything away so I shove it into boxes because it’s quick. I would love to have a designated area to work on and store everything. Thank you so much for the chance to win! Happy 10th birthday! What a way to celebrate! I will have a great time adapting so many of the ideas from this great project to my card-making. I seldom do parties, but cards? A lot!! Such cute and no-fuss ideas! As for the grand prize, well, good grief! AWESOME! I have their site bookmarked and I visit from time to time to see what I would order if I could. I will, someday, I know! Megan’s banner is so sweet and fun! OH. MY. GOSH. I honestly didn’t think I could be any more amazed at the generosity of the sponsors, but truly Stamp-n-Storage has knocked it right out of the park!! What a jaw-dropping prize to end this birthday celebration with!!! I really like you birthday banners.WOW,I have a room that is begging for Stamp-n-Storage help.I have trying to put it together for 3 years.Happy,happy birthday to you all at SCT. Happy birthday. I had a wonderful time following your blog for the past 10 days. Thanks for such generous prizes. Here is to the next 10 years. Cheers!! Happy Birthday! Thanks for the opportunity to win! This has been a great 10 days to celebrate your 10th birthday. Thank you for all the fun and inspiration you have brought us during that time! Happy 10th birthday and many, many more to come! Thanks to Stamp-n-Storage for a fabulous prize! I use their magnet cards to hold my dies and they are an awesome company! I am just swooning over this prize! Happy birthday and wow, just wow! What a great way to celebrate your birthday! You are always full of fun surprises, happy birthday!!! Thank you for a wonderful 10 days of creativity and color. Congrats again on 10 great years! What an AMAZING grand prize! I am in awe! Thanks for the opportunity to win such wonderful prizes over the past 10 days! Your magazine is so inspirational! Thank you! Sweet banner and jaw dropping prize. Happy birthday SCT! Thanks for 10 years of inspiring paper crafters. My husband has been busy building my first dedicated craft room for the past month. This prize would be perfect for getting it all organized in my new room. Oh the possibilities. I would be beside myself trying to figure out where to start and what is most important to get under control. Love your array of prizes, love how you share your birthday celebration! Happy 10th Anniversary! Happy birthday once more and wisihing you many more! Great prize! Thanks you for the chance to win! Awesomeness! Great giveaways…Happy 10th birthday! ?? wow, wow, wow. A crafters dream prize!!! SCT rocks!! Thank you for all the amazing give aways, thank you SCT for the opportunity to win some amazing prizes, thank you! Thank you Catherine and team for bringing us such wonderful inspirational ideas and for being amazing! Good organization saves time !!! Thanks for the chance to win!!! Happy Birthday! I LOVE Stamp-n-Storage!!!! This is a grand prize that will continue to inspire my creativity for another 10 years. Thank you SCT!! for such a great opportunity. This really is a big finale! Thanks to Stamp-n-Storage for such an incredible prize. Happy Birthday SCT. It has been so fun. I’m looking forward to the next 10 years. Happy birthday. Thanks for all the amazing giveaways! Amazing prize! Happy 10th and thanks for letting me be a part of it! Your birthday but I have a chance to win such a beautiful grand prize…. What fantastic gifts! Scrapbook & Cards Today – Happy Birthday!!!! And to all your partners – THANK YOU! WOW! What an amazing price and happy birthday!! WOW, All I can say is wow. You all outdid yourselves with this grand prize. A perfect grand prize for any scrapbookers! Oh wow! My husband could finally stop complaining about my scrap everywhere! Welcome to the family stamp n storage, what a way to make an entrance. This was an awesome birthday celebration!! Thank you for all the wonderful ideas! Happy 10th Anniversary! What a great prize for someone to win. Who doesn’t need fantastic storage like this from stamp-n-Storage. Thank you for the opportunity! Happy birthday! I love the prize idea! Keep up the great work! Love the storage. Always need more. WOW! Happy 10th birthday! Thanks so much for all you do to teach us and allow us to try and win prizes. You rock! What a way to end the Birthday extravaganza!!! Thanks! This is fantastic, I have always wondered where the re-inker/pen/ink pad storage unit came from, now I know. Yeah! Thank you so much for the chance to win some awesome prizes! Happy Birthday! WOW is all I can say!!! That and Happy Birthday SCT! Congratulations on 10 amazing years!! What a FANTASTIC GRAND Prize! Happy 10th Birthday! Oh what a wonderful grand prize! And how lucky would I be to win it? Happy Birthday SCT! How incredible is this giveaway?!! What crafter doesn’t need more organization? Happy Birthday SCT! Oh my!!! This prize would make the migration of my scraproom so much more fun! Here’s to another 10 years SCT! I have enjoyed watching you celebrate your 10th birthday in such grand style! Thank you for sharing! Happy Birthday!! What an awesome grand prize! Thanks for the chance to win. What an amazing 10 days of inspiration and celebration. I am sitting right down today with a few hours of ‘play time’ and going to do some projects, all because of your wonderful ideas. THANK YOU! And here’s to another 10 years! AWESOME.. thanks everyone.. Great FUN lots inspiration!!! Wow!!! What a terrific grand prize!!!! Happy 10th Birthday! What a grand prize! My room could use some help organizing my stash! Thank you for all the ideas through the years and a super awesome grand prize for one lucky scrap happy person! You ladies really know how to celebrate! Thanks for the change to win such great prizes! WOW! Thank you so much Stamp-n-Storage for the chance to win this dreamy prize! Your products are amazing!! Wow, I am just putting in a studio in my home and this would be a wonderful prize to win. Right now I just have a big room that is fairly empty. I love the picture with your dog in it. I think he liked your banner too! Thanks SCT for the great prizes from all the great companies you highlighted. Congrats to whoever wins these great prizes. Wow! What a generous prize! Thanks so much for the chance. Happy 10th Birthday to all the people behind the scenes that bring us a fabulous magazine. And to all the people in front of the camera contributing creative pieces and articles to inspire us readers. Thank you! Thanks for the suggestion of what to do with all my wood letters SCT! Congrats on 10 wonderful years. Storage of all my STUFF! How can a girl ask for anything else!!!! Please I really really want this prize!!!! What great fun this has been and have enjoyed seeing all the wonderful prizes! Thank you and Happy Birthday! What a fantastic birthday banner! Such creativity. Thank you for the opportunities to win such amazing prizes! Cool project today and a great prize. That is a seriously AWESOME prize! Thanks for the chance to win. Love your magazine! Happy 10th Birthday!! Hard to believe that it’s been 10 years for your great magazine. Here’s wishing for 10 more wonderful years. Welcome to SCT and thank you Stamp-n-Storage! Wow!!! Happy 10th birthday. Wishing everyone good luck. Wow! What a grand prize! As I just set up my craft space last weekend, I would LOVE to have a chance to organize with these goodies! What a great “GRAND PRIZE”. I always say organization is the key to happy crafting and scrapbooking. You have to be able to get your hands on the items you need to do your projects. Happy 10th Birthday and thanks for the birthday fun as we celebrated along with you. Mad dash for the last day!!! HAPPY BIRTHDAY, SCT!!! What an awesome giveaway! Thanks for the chance to win all these wonderful prizes. What a great way to celebrate your 10th birthday. I would absolutely LOVE this grand prize! How awesome! I’m always checking out their products! OMG – I looooove stamp-n-storage. I have a couple of their pieces and want so much more. I love the fact that they are based in a small MN town close to where my husband grew up. The owners are so sweet and down to earth. What a great company! A special thanks for their generous prize. Oh My Goodness. What an awesome prize. Thank you for the great ideas and lots of stuff I havent seen as do not have a store in our area. Congrats on your 10th year! Thanks for sharing with us for that. Stamp N Storage makes quality products! I have some. Cute banner and pup! OMG, what a fantastic prize on day 10. All the prizes were awesome though. Thanks for the chance to win. Absolutely fantastic! What we all need — organization, organization, organization !!! So we have room for MORE supplies. Thank you! Wow!! What a grand prize! I love their stuff – just got several paper holders for Christmas and am saving up for more! Wow ~ what an amazing prize! Thanks so much SCT & Stamp -N- Storage for your generosity. I couldn’t even imagine being a winner! And what an amazing 10 days it has been. Happy 10th birthday to you and here’s to at least another 10 more. Thank you! What a incredible prize to celebrate your 10th anniversary. Happy Birthday!!! Wow! A great tenth prize! What a way to end a wonderful 10 celebration ! Woooo ! just so excited about all the things I learned throughout this great showing of talent, inspiration and just simply gorgeous projects…such hard work you all put into this and I can’t thank the sponsors enough for the prizes ! HaPpY hAPpy Birthday and many more ! Happy Birthday for 10th ,your banner is very beautiful and Stamp-n-Storage are very generous with your prize.Thanks a lot for a chance to win a spécial prize.